Tutti i nostri prodotti rientrano in queste categorie che beneficiano di questa agevolazione, approfittane e rinnova il tuo parco macchine, Ser.Tec e DPI supervalutano il tuo usato! Chiamaci! Ser-Tec is present at C!Print expo in Lyon France that is held from 26 to 28 of January 2016. C!Print is one of the most important expo in France for the advertising and marketing print and it's the ideal showcase for our UV Led printers with UV Led technology Eagle and Beled. Ser.Tec. has signed an important commercial agreement for UV Led printers Eagle and Beled. Sign Center will be the German distributor of Ser.Tec UV Led printers in a market that require high performance and quality printing solutions. With this agreement, Ser-Tec Group reinforce its international distribution network that sees its products sold in more than 30 countries. Ser-Tec group will be present at C!Print expo in Lyon France from 26 to 28 of January 2016. Ser-Tec group will be present with Eagle and Beled at stand 1A6/B5 guest of his French dealer Thermoflan. 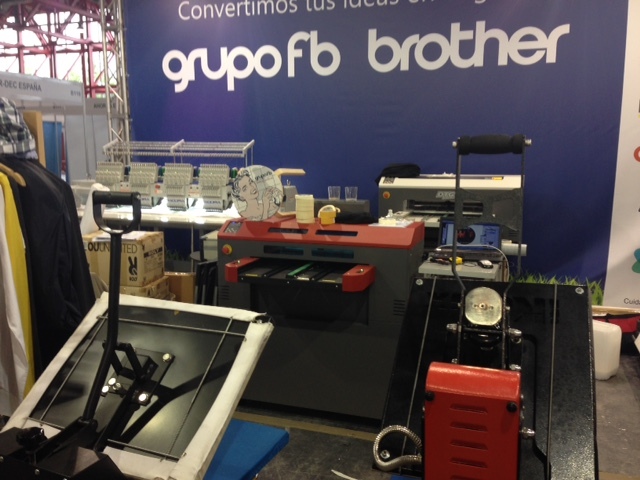 Our Spanish dealer Grupo FB Maquinaria will be at C!Print in Madrid with our Eagle and Beled printers at stand C121. BeLed and Eagle are versatile printers, able to print on acrylics, plastic, ceramics, wood, steel and others, it is possible to print print almost every object that fit over the printers table. C!Print will take place at Casa de Campo, Pabellón de Cristal, in Madrid from 6 to 8 of October. Beled and Eagle will be present at Viscom Paris 2015 located to our French dealer Thermoflan stand. It will be the occasion to see Beled and Eagle in action and the latest news of printing world. Beled will be present at Viscom Italia 2015 in Milan from 15 to 17 october 2015 at Ser-Tec stand: stand K27 Hall 8. Don't miss the occasion to see Beled in action printing on different substrate, on different thickness objects and with exciting 3D effects, talk with our technicians to discover all the possible applications of this versatile printer! Beled printer will be present at Fespa Germany in Cologne from 18 to 22 of May 2015 at Ser-Tec stand: stand E22 Hall 8. Don't miss the occasion to see Beled in action printing on different substrate, on different thickness objects and with exciting 3D effects, talk with our technicians to discover all the possible applications of this versatile machine! Visit us at stand E22 hall 8 Fespa Germany Cologne from 18 to 22 of May 2015. Ser-Tec Group confirm its presence in international market taking part in Fespa Eurasia. Fespa Eurasia, located at Istanbul, will be the occasion to show at the public the innovative UV Led printers "The Eagle" and "BeLed". From 4 to 7 December at stand E95 Hall 4 visitors will be able to see and touch prints realized with our UV Led plotter on many materials like cards, glass, steel and much more.